Editions : There is a single edition. 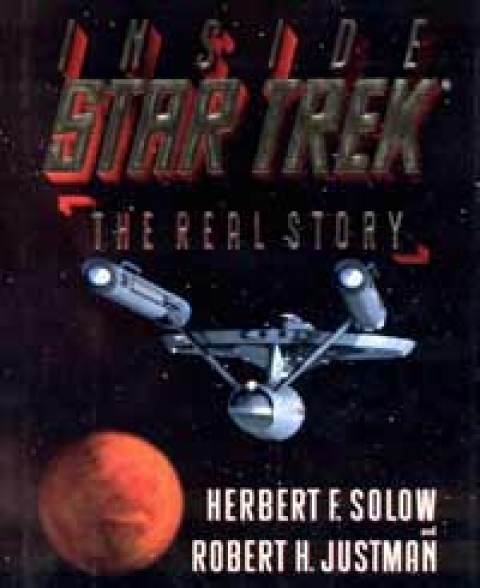 The story of Star Trek as told by producers Herb Solow and Bob Justman is an absolutely fascinating read. We get a detailed description of how the show was chosen for production, the creation of the two pilots and subsequent making of the series. The book pulls no punches; the constant battle against politics both with the studio and within the show itself is depicted in detail. It also doesn't shy away from a less than flattering depiction of some of the personalities involved - Shatner's jealousy of Spock's popularity is described, as is Roddenberry's constant attempts to milk every penny he could from his creation even if it was at other's expense. The book also deals with a few myths, such as the idea that it was the studios who forced all those women into skimpy outfits or forced Gene to drop the idea of a woman second in command.